Step 1 Log into your Neumann Application portal and click on your application. Step 2 Submit the Reply to Offer of Admission form, located at the bottom of the page. Step 3 Once you ACCEPT your offer of admission, you will be prompted to pay a secure deposit online. You may use a credit card or authorize an e-check payment to pay your deposit amount. *Please note that e-checks may take up to 5 business days to process. Step 4 You will receive a confirmation that your deposit has been received. 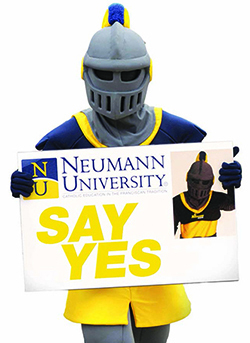 Step 5 If you prefer to make a payment in-person with cash or personal check, you may visit the Neumann University Office of Admission during regular business hours, Monday - Friday 8:00am - 5:00pm.